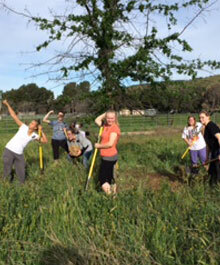 For Open Space and other City of Santa Clarita volunteer opportunities please visit our Volunteer Registration page. Looking to host an event in the Open Space? Submit the Special Event Application Form. We will contact you once the application has been received. 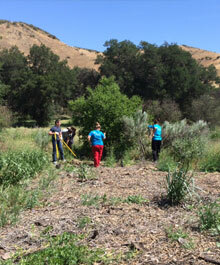 Donating land for open space preservation is one of the best legacies a person can leave. Land donation may be the best strategy for those who have purchased land for development purposes but no longer wish to use it; inherited land and wish to be relieved of the burden of taxes and management of the property, or have substantial land holdings. Donations of land provide substantial income tax deductions and estate tax benefits. 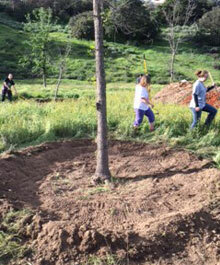 If you would like to donate your land to the City of Santa Clarita for Open Space Preservation, please contact Barbara Blankenship, Acquisition Specialist at (661) 286-4046. 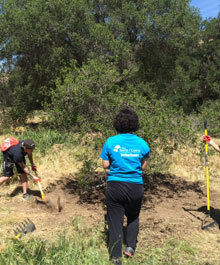 This year’s Make a Difference Day included the ambitious project of clearing and constructing approximately one third mile of new trail in Elsmere Canyon. 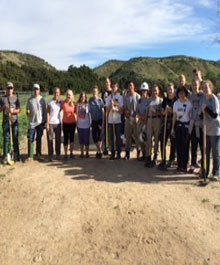 Over 20 youth volunteers from the Community Center, led by Steve Ioger, the volunteer coordinator for the Mountains Recreation and Conservation Authority (MRCA) at Towsley Canyon, completed the work on a breezy Saturday morning in the canyon. Steve and his all-volunteer trail crew approached the City with the offer to build a trail, and the City’s Parks Planning staff identified an extension of the Creek Trail in Elsmere Canyon. The new section of trail terminates at the base of a waterfall which flows intermittently. The youth volunteers attended a trail building and safety class put on by the MRCA at the Community Center prior to Make a Difference Day. 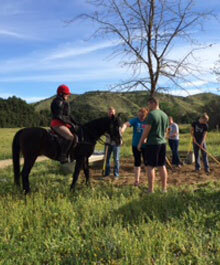 Hikers, bikers and equestrians will now be able to go deeper into the canyon to enjoy our beautiful trails and open space. Come on out and see this beautiful new trail. 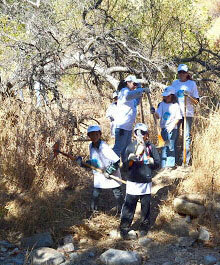 The City wishes to thank all of the Make a Difference Day participants for their hard work on this project! 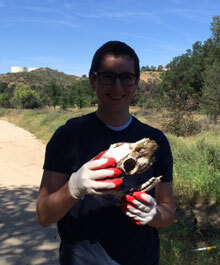 If you are interested in volunteering on an upcoming trail or open space project, visit our Volunteer website. 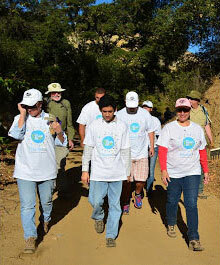 View a map of all our open spaces or download and print individual area trail maps. 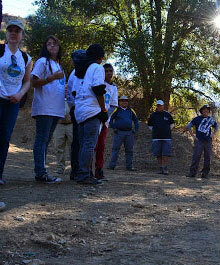 © Hike Santa Clarita All Rights Reserved.